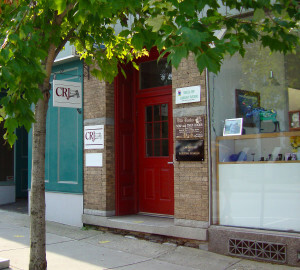 The mission of the Bennington Center for Restorative Justice (CRJ) is to create opportunities for individuals to take responsibility for their actions, to help themselves and to give back to their community, strengthen the community through prevention, education and intervention and to empower individuals to take an active role in responding to the safety and well-being of themselves and their community. Bennington CRJ is a nonprofit community justice agency that provides a full continuum of restorative justice programming and services to help young people and adults take an active role in becoming positive, contributing members of their community. CRJ’s program continuum begins with prevention and intervention work in the schools and continues through to restorative reentry, supporting people returning to the community from incarceration. Our programs are based on the principles of restorative justice, bringing together those most affected by an incident — victims, community members, family — with the person responsible to help determine what amends need to be made. With the help of more than 55 community volunteers, the CRJ offers a variety of programs for youth and adults throughout Bennington County. Restorative justice programs allow for direct community involvement in the resolution of criminal offenses through participation in Restorative Justice Panels. People directly affected by a crime have an opportunity to participate in a justice process where they can articulate their needs, ask questions, seek restorative actions and receive support from their community. Through CRJ’s Reparative Probation Program and Direct Reparative Program, adults responsible for a crime can learn about the harm, make amends, and build a positive connection with their community. For people reentering the community from incarceration, CRJ offers a variety of support services to help individuals return successfully. CRJ’s Community Reentry Program and Circles of Support and Accountability (COSA) programs are designed to help people navigating the challenges of everyday living while learning ways to become productive members of the community. CRJ’s Pre-Charge Program at MAUHS, Kids Are Our Strength (KAOS) at MAUMS, and the Truancy Project all provide early restorative justice intervention services to support families and help students remain in and succeed at school. Court Diversion and the Youth Substance Abuse Safety Program (YSASP) provide restorative interventions for youth and adults charged with low-level civil and criminal offenses by diverting cases from the traditional court system. CRJ’s DLS Diversion Program assists adults with multiple civil driving suspensions submit petitions to the court to have their fines reduced based on their income while regaining their driver’s license. Restorative justice programs are offered for youth adjudicated in Family Court. Through the use of community restorative panels and family group conferencing, the agency’s Juvenile Restorative Probation Program and the Juvenile Restorative Direct Referral Program hold youth accountable to their victims and community and helps participants learn ways to not reoffend. A wide variety of services including Community Support and Supervision (Street Checks), Skill Building Classes, Individualized Mentoring, SHOP Afterschool Program, Teen Movie Nights, and various summer programs and activities are offered to support at-risk youth throughout Bennington County. A variety of programs and services are offered for adults to help them gain new knowledge and insight to help reduce the likelihood of reoffending. Programs include Safe Driving Program (Victim Impact Classes), Day Reporting Program, Risk Reduction Program, and Expungement Program for individuals who were convicted under 25 years of age. Through this voluntary screening and monitoring program individuals cited or arrested for certain offenses may be offered the opportunity to participate in a risk assessment and needs screening. The prosecutor may use these results in determining bail, sentencing or conditions of release.